Fascism’s ascent to power across Europe in the 1920s and 1930s marks one of the greatest historical defeats of the left in all of history. Far from inevitable, this catastrophic defeat was resisted at every turn by Marxists of varying stripes who tried, unsuccessfully, to push the mass communist and social democratic parties to organize an opposition to the rising movements of violent reaction. Their devastating failure paved the way for the gas chamber, decades of ruthless dictatorship, and war. 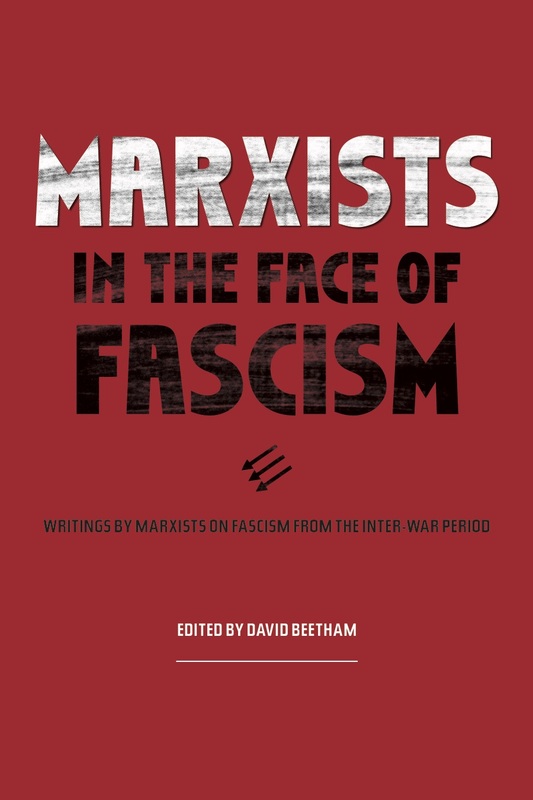 This important volume offers the most complete selection of Marxist writings on fascism from this period in any language and provides invaluable lessons for contemporary readers concerned with today’s far-right. Drawing from the political experience of the left in Italy, Germany, Austria, and Spain the collection offers an unparalleled documentation of Marxist attempts to understand and stop the fascist threat, as well as the tragic ways in which a combination of sectarian divisions, irresponsible political strategy, and inadequate theoretical analysis ultimately lead to the failure of those efforts. David Beetham is a social theorist making extensive contributions in the fields of democracy and human rights; including social and economic rights. He joined Democratic Audit at the University of Essex in 1992 where he became Associate Editor, working closely with Director Stuart Weir, to devise a methodology for assessing democracy which was pioneered by the Audit in the UK and developed for wider use across the world. He is a Professor Emeritus at the University of Leeds.